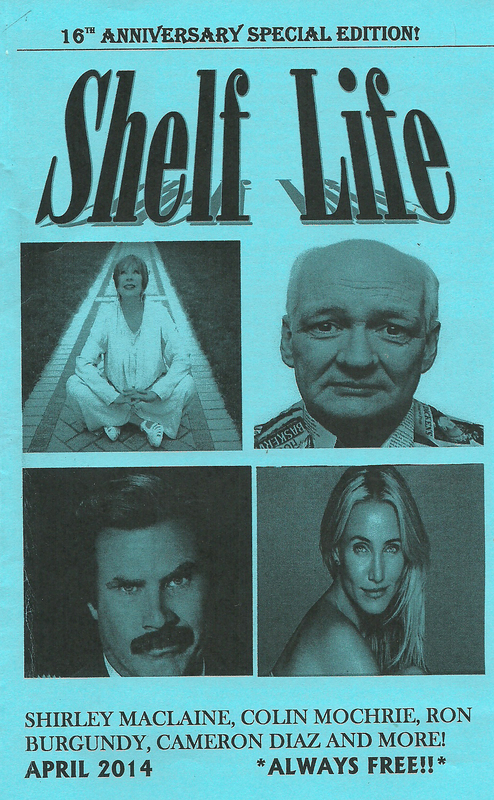 Welcome to the 16th Anniversary issue of SHELF LIFE. The years certainly pile up on us, and it is hard to believe just how quickly they fade from one to the next. A lot has happened during that time both good and bad. But the last year has really been one that has brought the most difficulties. Personally, I am still waiting for a date for open-heart surgery, but that shall come hopefully soon. The year has also not been kind for my mother, Joan, who until the last few issues had been reviewing books for over ten years. Diagnosed with Alzheimer’s, it has been a difficult few months for her, but the spirit is still strong and even through adversity, she still is a most inspiring role model for me. I want to thank my reviewers for always being more than willing to review books. I want to thank the readers for remaining faithful and picking up every issue. But most of all I want to thank the publishers for their commitment to sending so many quality books. They are always an honor to review. No one knows what the future holds, but let us hope as every anniversary approaches that we are able to face them with dignity and optimism and that the positives outweigh the negatives. Thanks as always for picking up each issue. 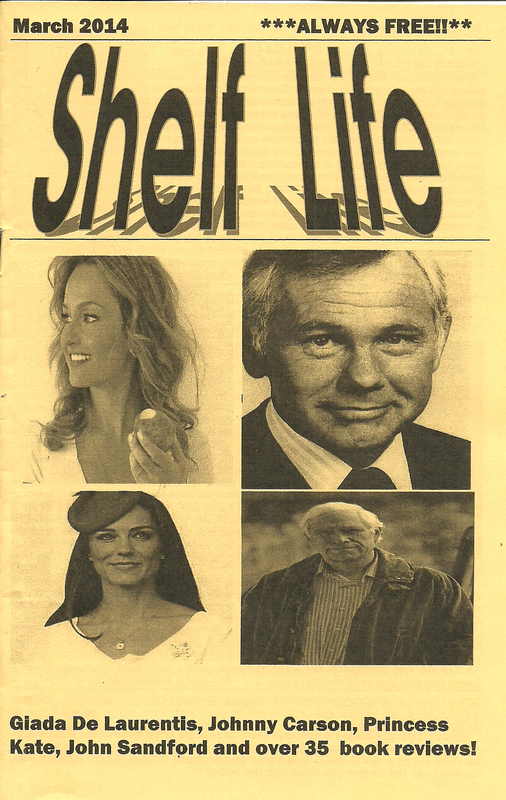 Dear Readers: Shelf Life has never published a correction during its almost sixteen years of being published. One must be offered now and ironically it has nothing to do with books. In the January issue, I mentioned having an ablation done on my heart. Well, I suppose that is a case of wishful thinking. I completed the issue before that time, assuming everything would be done as planned. If only! The ablation was scheduled that time, and at the hospital they had to do another test first to check for cloths around the heart. Well, they found a tear in my artificial heart valve, necessitating a cancellation of that procedure for another day, But upon further tests, it was discovered another valve must be replaced and an ablation done hopefully at the same time. So rather than assume it will be done at a specified time, I will say, I hope it will be completed sometime soon. Now that this has been cleared up, I draw your attention to the latest assortment of titles, books for every reading taste. With the nights getting longer and hopefully the bitter cold weather on the wane, once more you turn your attention to books, and there are over thirty-five for you to choose from. So sit back, enjoy, and be sure to pick up the April Shelf Life, which is our sixteenth anniversary issue.